Xiaomi has today unveiled the Mi A2 Lite smartphone at an event in Spain, alongside the Mi A2. The Mi A2 Lite is one of the most affordable Xiaomi devices to feature a notch-equipped display that will be available in the international market, following the Redmi 6 Pro which was recently announced in China. Unfortunately, the device will not be available in India, from what Xiaomi announced on stage. The Mi A2 Lite packs a 5.84-inch Full HD+ display with a 19:9 aspect ratio and a notch on top which houses the front camera and other sensors. The device will be available in three color options – Black, Blue, and Gold. The Mi A2 Lite is powered by the octa-core Qualcomm Snapdragon 625 SoC clocked at 2.0GHz, with an Adreno 506 GPU to handle the graphics. The device packs up to 4GB of RAM and 64GB of internal storage which is expandable via a microSD card. You can get the Mi A2 Lite in three variants — 3GB RAM + 32GB internal storage, 4GB RAM + 32 GB internal storage and 4GB RAM + 64GB internal storage. The device comes equipped with a dual rear camera setup with a 12MP primary sensor featuring 1.25-micron size pixels and f/2.2 aperture, and a secondary 5MP sensor, while the front camera is also a 5MP unit. 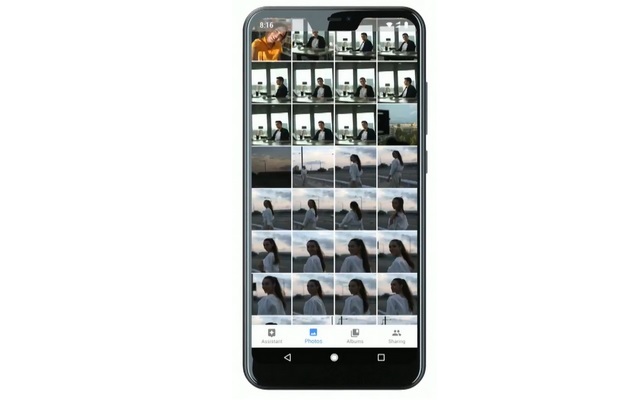 The Mi A2 Lite features the so-called AI Portrait mode for both the rear and front snappers, as well as an assisted scene detection tool and AI Face Unlock for authentication. The Mi A2 Lite boots Android One and will be available starting July 27 in France from the official Mi website as well as online and retail outlets.